A large reptile that weighed about 7 tonnes and measured 18 m long, the Spinosaurus was a carnivorous dinosaur. In 1912, remains of the animal were found in Egypt, and it is believed that other parts of North Africa were home to the Spinosaurus. As the name suggests, the dinosaur had a prominent spine that extended from the vertebrae to form a hump. It possessed a long and narrow skull with flat and blade-like teeth. 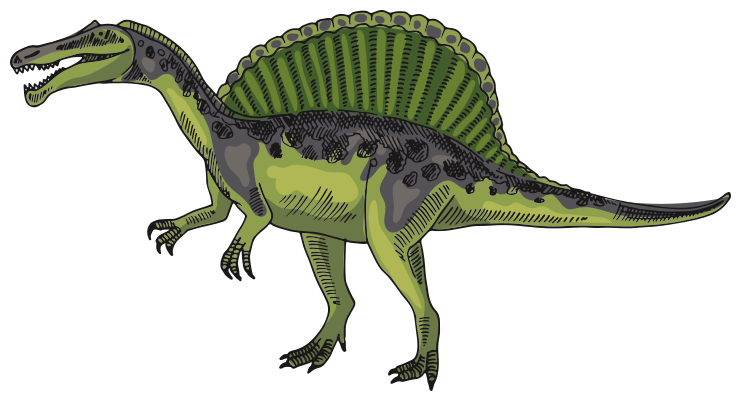 Scientists believe that the Spinosaurus lived on land and water like a crocodile.